Storage for you sensitive digital files is extremely important. Anything could happen and if disaster strikes and your files and important data are not backed up, then they’re gone forever. If you have your data stored solely on your machine you’re taking a big risk, but if it is stored with a cloud storage provider then you know it is safe. Think about how many times a file has accidentally been deleted or what would happen if you woke up and your laptop simply would no longer power on. Would your files be safe? Cloud storage is a way that you can store your files in a separate place. These files are encrypted, and they are safe. Unless you authorize users you will be the only one who can access the files. You never have to worry about viruses, natural disasters, accidental deletions or hardware failures again. Your data both personal and business is safe. Let’s take a look at cloud storage and why it is smart to back up your files with this trending method using online data storage. It is very simple, and you have a lot of options to choose from. 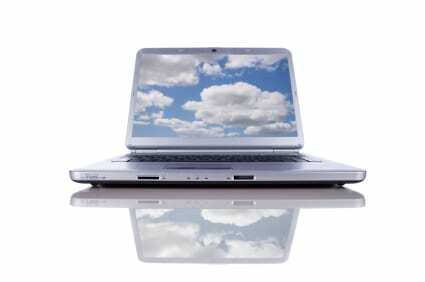 Did you know one of the many options available is Windows Live SkyDrive? There are also options like backup and restore through Windows. This can be done right from your computer. This simplifies the entire process of backing up or restoring your files and it is very user friendly. While some opt for the Windows options, others are looking for something more. There are a ton of services out there that will allow you to use their services for backing up your data online. They will range from free of charge with limited space to unlimited space and a small fee. It is all about exploring your options and finding the cloud storage company that is going to work for your unique needs. Personal backups won’t need as much space as a business, and there are plans set up for all types of needs. Just make sure that they encrypt your files in storage and that the site is secure. You will never have to worry about your files again. With traditional storage methods your files are not as safe as they are when you use a cloud storage company. With cloud storage it is a third party storing your files mostly on multiple databases, and you will be able to access them anywhere that you have internet and from any device. Your files are not sensitive to hacking, and you can even collaborate with approved users for a file sharing method. You will never have to worry about stolen devices or any of the little things that happen unexpectedly that can wipe your hard drive clean, because the cloud has you covered. This is simply the safest and most affordable way to back up your files. Cloud storage is also becoming quite popular with many small businesses and fortune 500 corporations. There are plans for individuals as well, so no matter who you are there is a cloud storage company that can offer you exactly what you need at a price that’s right for you, and the security that the cloud offers is unmatched.